We love it when readers share information and new ideas. Sonja contacted us recently about Food to Go and asked how many vegetarian recipes there were in the eBook. 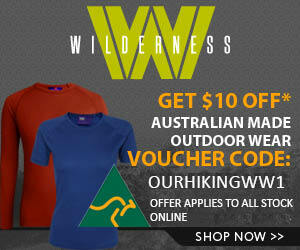 She is heads off on many multiday trips in Australia and was looking for some new ideas. There is a vegetarian backpacking food section in Food to Go but it is not massive. We sent Sonja a copy to check it out i.e. if she was not happy, she did not have to pay for it. The upshot of these communications was we did a swap, Sonja received a free copy of Food to Go and she sent us some great vegetarian bushwalking meal options! I have read your book, Food to Go. It is very good and informative. 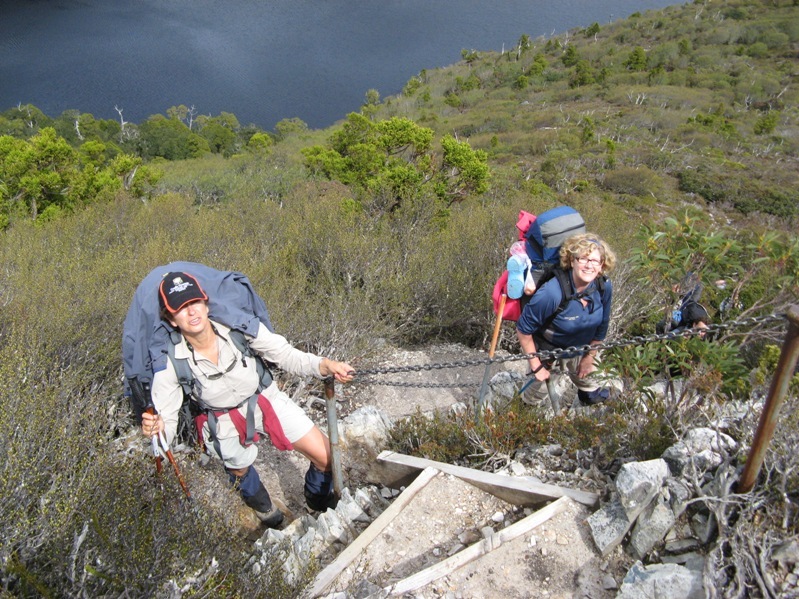 The examples by a range of bushwalkers is really interesting. I purchased two american trail food books (off amazon) that I believe were a waste of my money. Your book is very good and offers a range of good recipes and meal planning information. I recognised some of the recipes from the dehydrated bushwalking food blog, as I used this blog to learn how to dehydrate meals and prepare portions for walking. I have adapted some of the recipes from this blog and also added my own to my walking menu list. I didn’t add the red curry or pesto meals as you have these recipes – only difference is I make my own red curry paste, make the curry then dehydrate as a complete meal that includes fish sauce and palm sugar. Add dehydrated red kidney beans (400gms can). Other options include chickpeas or cannelloni beans. Add sufficient water to spices to create sauce and add to vegetables when rehydrated. Serve with rice or couscous. Serve with rice (100g per person). Lean minced meat and onion. Heat oil in wok, add onion and cook for 5 minutes. Add small portions of minced meat to the wok and cook through (ensures the meat fries instead of boils). Remove from wok and prepare curry adding meat to curry instead of kidney beans. The main benefit of dehydrated rice is the quicker cooking time and less fuel used on the trail. The rice is cooked in 5 minutes instead of 15 minutes. Cook rice as normal, spread out on fruit dehydrating sheets and dehydrate for approximately 6 hours. Bag and just cover with boiling water in camp. Food to Go is not just about dehydrating meals but it does contains step by step dehydration, testing , packaging and rehydration instructions with examples of many different types of food. The beauty of dehydrating your own meals is that it inexpensive, let’s you eat “home cooked” food and you can create a lot of variety. Dehydrated food will keep for weeks without spoiling and you don’t need to carry an esky or cooler box! Keep an eye out for more of Sonja’s recipes, they will be posted here soon. And, a huge thanks to her for sharing these great ideas!. Do you dehydrate your own hiking food? Have you got any recipes that work well (with or without dehydration) to share? Shoot us a note below, we whould love to share them. Thanks for the info on vegetarian meals. As a committed vegetarian of many years it’s easy to get in a rut cooking the same old things when outdoors. Trying the Massaman Curry reciepe this weekend, although without the fish sauce which is made from fermented fish (funnily enough) and not suitable for complete vegetarians, however I have substituted a Vego sauce that tastes the same. Give it a try and you will find that the flavour is great and it will keep as long as fish sauce. Found the reciepe ages ago on the web and have been using for a number of dishes. I make it well ahead so that the flavour intensifies before use. The extra sherry has also been known to come in handy for toasting another great day outdoors. this sit for at least 10 minutes so that beans soften. Add miso and mix well. When ready to use, strain out solids. Store refrigerated indefinitely. Flavor intensifies over time. Fermented black beans (soybeans) can be found in Asian markets. Thanks Ian, looks very interesting, appreciate the share! Thanks for this post Frank, I was just thinking along the same lines as Ian the past few days as I was getting ready to pack for a couple weeks away, it’s so easy to end up eating the same old stuff. Wouln’t it be awesome if enough vego recipes turned up that you could create a supplement to ‘Food To Go’, “Food to (Ve)Go”! I’ve got a shelf full of cook books that have one scant chapter on vegetarian food, I think the two books I have dedicated to vegerarian cooking could easily replace that full shelf of books. However, without a dehydrator, and while my head is too busy with other stuff to be creative, this trip will be seeing a lot of boring old chili beans! We might add a new mini version with just vegetarian options. There are a lot of options available in the supermarket or health food shop where you can create great meals straight off the shelf. Maybe a change from chilli beans! Hope your trip went well. Frank, I am so trying to get the courage to start cooking and dehydrating my backpacking food. My main motivation is to eat healthier and lower salt foods while in the back-country. I have read your Food to Go ebook and am counting on this source for how-to and motivation. I will keep you posted on my 2012 progress. Wish me luck! On a recent trip wa saw stacks of people just eating freeze dried food out of the bag and it made us so sad they were not trying something different! You have so much flexibilty when you dehydrate your backpacking food. You can do whole meals (that are just the right amount) or just dehydrate components and make up a meal on the spot! Good luck with it all in 2012 and give us a yell if you need any help. Thank you Frank, Sue – for all you share and the inspiration along with it. Thank you Sonja also for expanding on tasty, easy, healthy meals. Finally ‘get’ precooked rice (in this context) and nice to see high nutrient/energy coconut used. For those unable to pre-assemble, there are blocks of pure creamed coconut (less than 5% moisture) from Asian grocers: Indus brand from Sri Lanka. Weighs less than a can, can cut & use smaller chunks. Of all the many diets I perhaps/ought to observe (leaving little, but gee would be worth seeing my health improve should I turn purist! ), my primary challenges are gluten free and food combining; err, & avoiding as much processed gunk as possible. While still getting my head satisfactorily around that, perhaps I too could contribute in kind one day. The only reason I’ve held off on your ebook is knowing I’d have to adapt/reinvent (which can be no drama if not fun, until other concerns sap my resourcefulness, energy & ability to focus, in which case I wanna paint by numbers). Though shouldn’t be too long in seeking the benefits of your knowledge, as the woman I loaned my food dryer to indefinitely five years ago, wants to return it. Seems a good vego sauce recipe Ian…. I’d substitute tamari and barley etc free miso [oh dear on the ferment free candida side of things]. Condiments are one of my weaknesses; I bought a gf/vegan bottle of worcestershire sauce but it tastes like sweetened vinegar [vinegar another issue re blood type diet] with none of the complexity of Lea’n’Perrins. Making use of tamarind and palm sugar for sweet’n’sour are good sources (only hear about palm oil in soap as threatening wildlife). As much as I love fish sauce, I’m still suss of any demineralised salt source. Once fluked something akin to an anchovy paste or an olive tapenade by blending cooked leek and vege massell cubes. My husband and I are vegan (so absolutely no fishy “vegetarian” meals for us) and we found Backpacker’s Pantry was the only pre-packaged brand that provided proper vegan meals, they were also very tasty and the portions were good. In addition, we dehydrated our own meals using bean “bark” (google that! ), rice and lots of veges. We ended up with a lot more food than we realised! Got a dehydrator from Aldi for $40 which was a lifesaver. Wow, what a cheap dehydrator!! Go Aldi. We formed a “cooperative” of dehydrator owners a few years ago. Three of us bought it together. It works out really well and the thing has not missed a beat. I will look up “bean “bark” , sounds fascinating. Thanks for the feedback on the Backpackers pantry meals, they sound a goer. We’re keen (Kiwi) trampers and are always on the lookout for food ideas. We’re pescatarian (vege + fish) and gluten free so that does provide some challenges around meals. Short trips aren’t so bad as we just take normal veges, etc but multi-day ones can get a bit boring (understatement). We’d certainly be keen on a vege tramping food book. Your blog has inspired me to undertake some dehydrating trials. I do like the idea of dehydrating cooked rice (to speed things up when we cook our evening meal) and had been pondering how to dehydrate a curry. Up till now I’ve taken all the ingredients separately and cooked things like curry while out in the bush but it does seem much more sensible to do the cooking at home, dehydrate the meal and then rehydrate. If anyone is after any tips on tramping here in NZ I’d be happy to help.